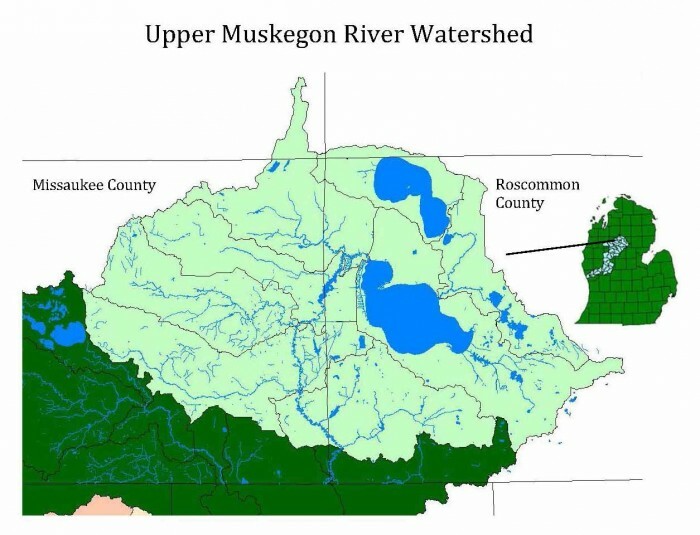 An Upper Muskegon River Watershed Management Plan including portion of Missaukee and Roscommon Counties. The plan will include E.coli monitoring on Houghton Lake and a Social Profile developed through a survey. A Steering Committee meeting was held on August 13 at the Roscommon Township Hall. A workshop targeting local government was conducted by the Missaukee Conservation District in Falmouth on October 9. The Social Survey report was distributed in February. A Steering Committee meeting was held at Lake Township Hall on May 14. Environmental monitoring for E.coli in Houghton Lake was conducted on May 22-23 and July 9-10. A Steering Committee meeting was held at Markey Township Hall on September 26. A workshop, targeting local government in Roscommon County, was conducted by Annis Water Resources Institute at Lyon Township Hall on November 13.